for a home of her own. She was rescued in Hempstead at 9 weeks, went to foster care and has been waiting patiently at Last Hope in Wantagh. Friendly FUSCHIA is 5 months old now. She is worried about her future. Will anyone ever want her? 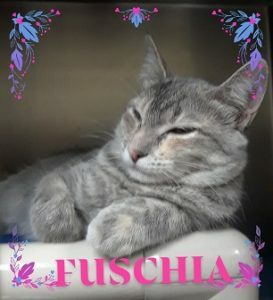 FUSCHIA Deserves a Brighter Future. This entry was posted in Adopted, Cats, Female, Under 6 Months, Wantagh Adoption Center. Bookmark the permalink.